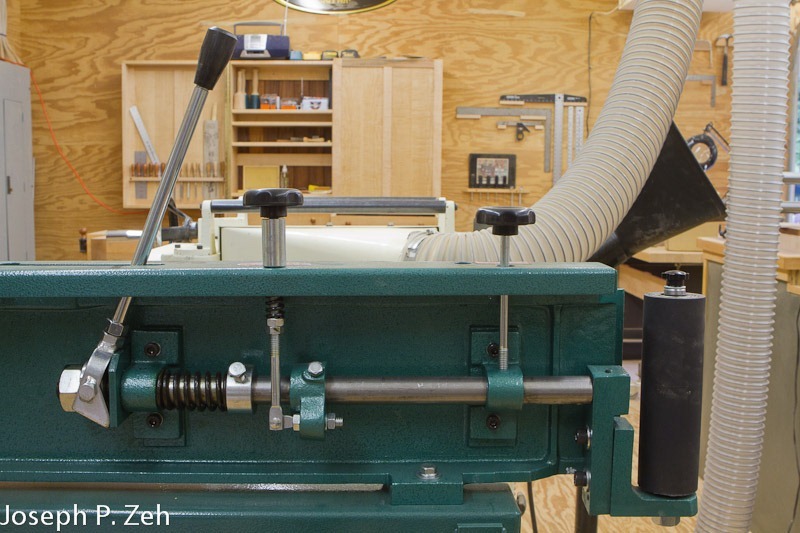 Most woodworkers eventually find themselves building a case for a mechanical clock movement. I can tell you from painful personal experience that the choice of movement can be a daunting and overwhelming experience. In addition, finding design documentation and support, particularly finding answers to questions that will invariably arise, is almost impossible. 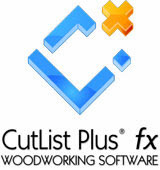 Fortunately there are reputable suppliers if you know where to look. One such dealer is Oakside Classic Clocks. 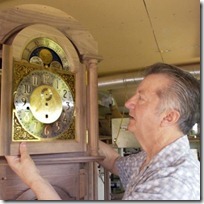 Oakside Classic Clocks of England is a one person business. 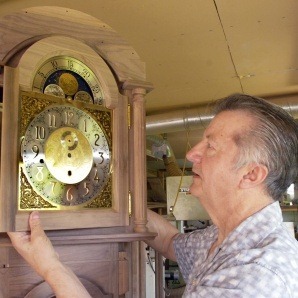 Frank Redmile, owner and sole proprietor, designs and creates longcase clocks that sell all around the globe. Frank also has the largest inventory of German made Kiesinger movements. 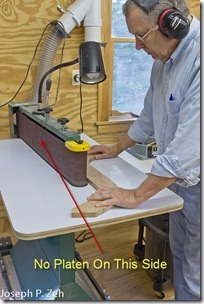 In addition to his finished clocks, Frank sells Kieninger clock movement kits to hobbyist clockmakers and woodworkers. 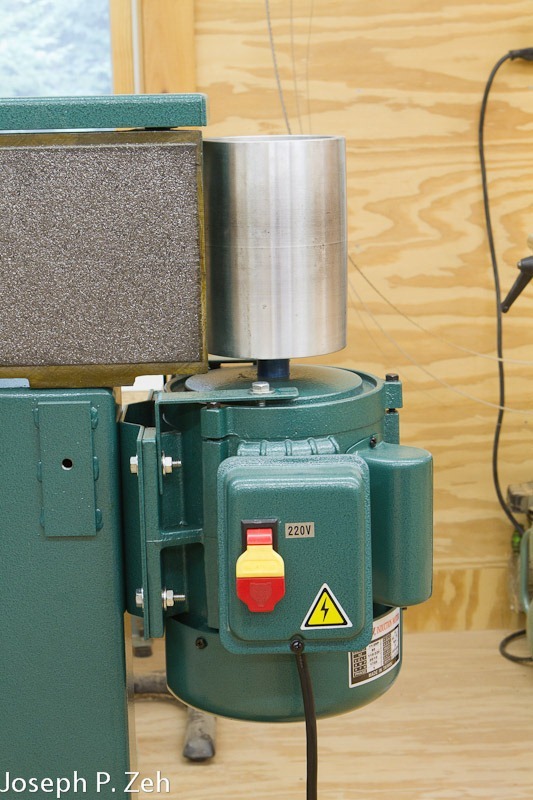 If you need Kieninger replacement parts, Oakside Classic Clocks is the place to look. 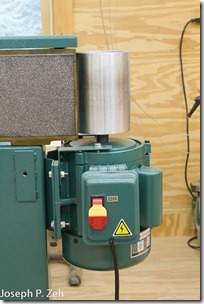 Likewise, you can get movements, movement documentation, dials, pendulums or other accessories. Check out Frank’s website or contact him directly on his Contact page. 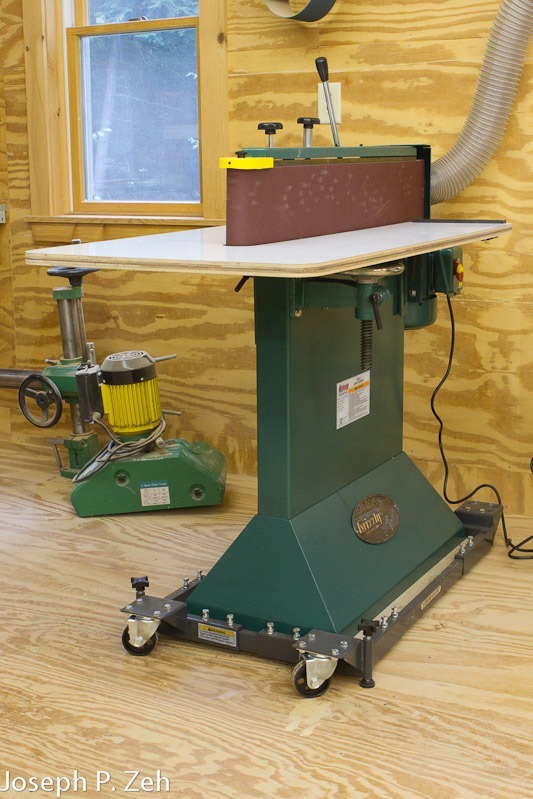 For those of you who took woodworking shop in high school you are likely to remember this useful safety device. It was typically made from scrap 1/4” or 1/2” plywood and shaped to fit your hand. 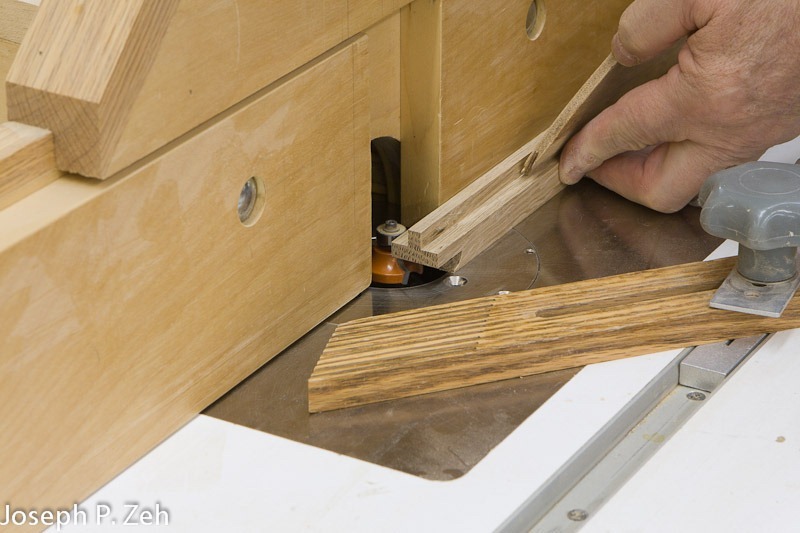 The High School Push Stick is most useful for pushing narrow pieces through a table saw while keeping your fingers far away from the saw blade. 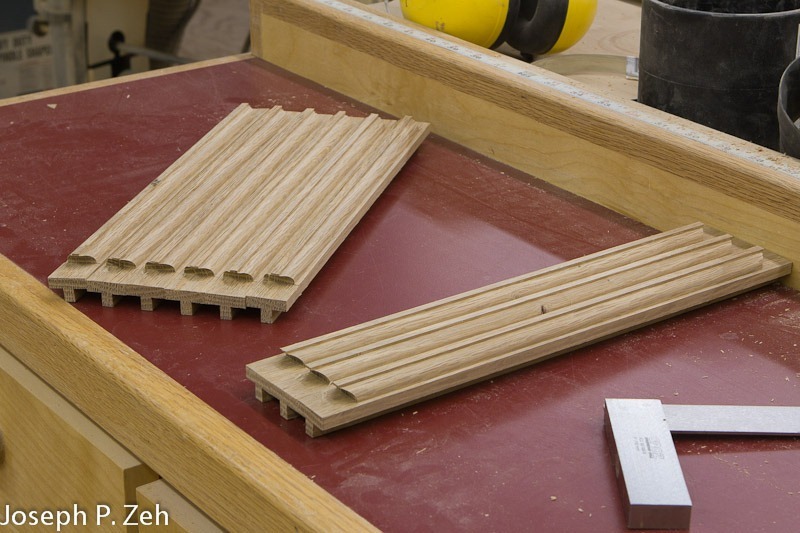 For this reason I prefer the narrower 1/4” version. 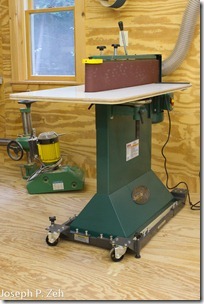 Anyone who has used this handy little device will agree it is invaluable in the wood shop. 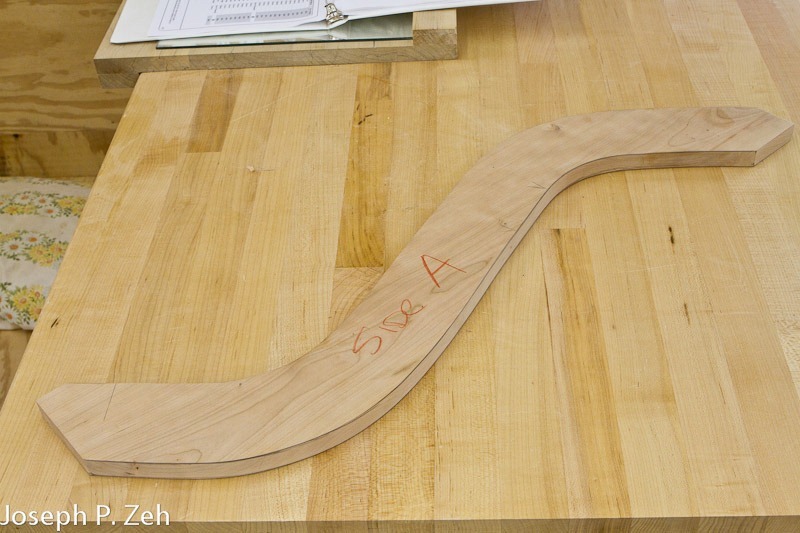 So I have taken to providing readers my most complex SketchUp model yet; High School Push Stick.skp. Download it by clicking this link. 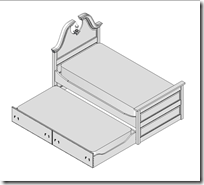 Open the model and choose Camera/Parallel Projection. Choose Camera/Standard Views/Front. 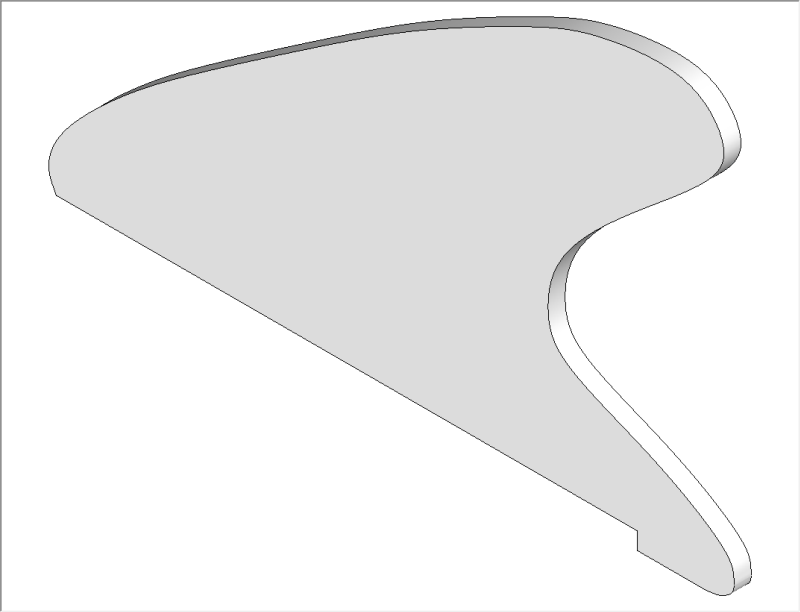 Zoom Extents and minimize the amount of white space around the model by adjusting the window size (this is necessary to print this model on a single 8 1/2” x 11” page). 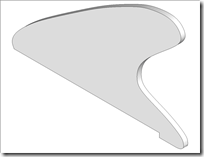 In the Print Setup Dialog box choose the Properties Button. Choose the Basic Tab and select Landscape. 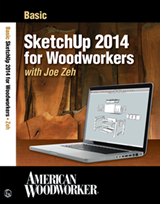 In the print Preview Dialog box uncheck both “Fit to page” and “Use model extents”. 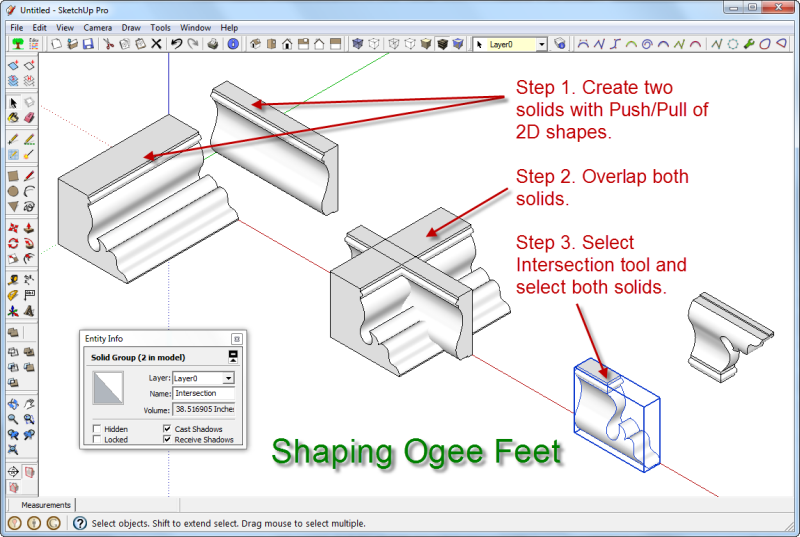 Enter 1 and Inches for both “In the printout” and “In SketchUp” (this produces a 1:1 print scale). Now choose Print at the top of the menu bar. 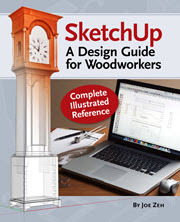 If you have trouble printing to scale read Printing To Scale In SketchUp. Sandwich the printout between two sheets of Self Adhesive Clear Plastic which you can buy at any office supply store or Amazon.com. 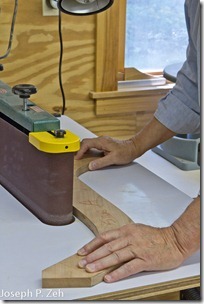 Carefully cut out the template of the Push Stick and trace it onto a scrap of 1/4” plywood. 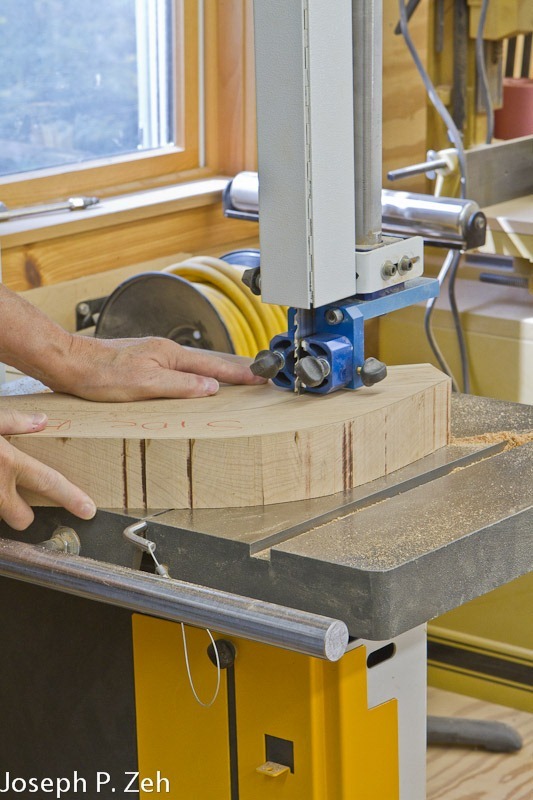 There are three straight-line cuts that should be made on a table saw. 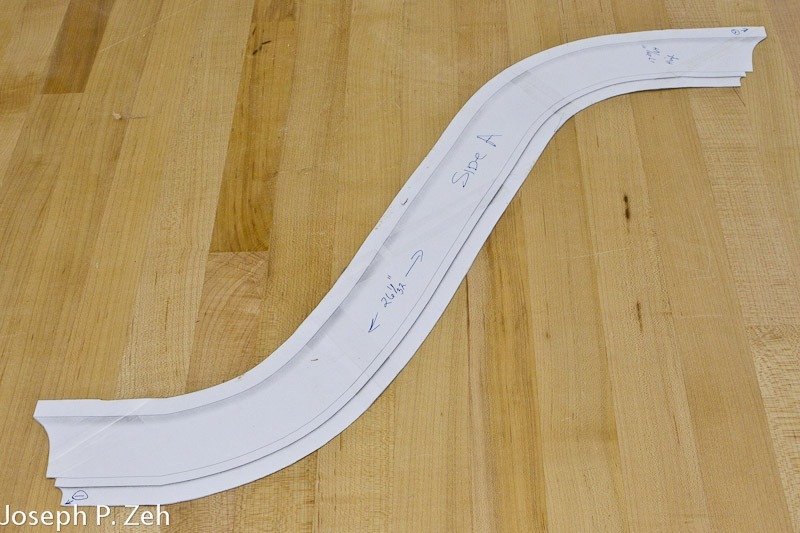 They are: the 8 1/2” long line, the 1/4” short line and the 1” line. The three lines are perpendicular to each other. Cut these first. 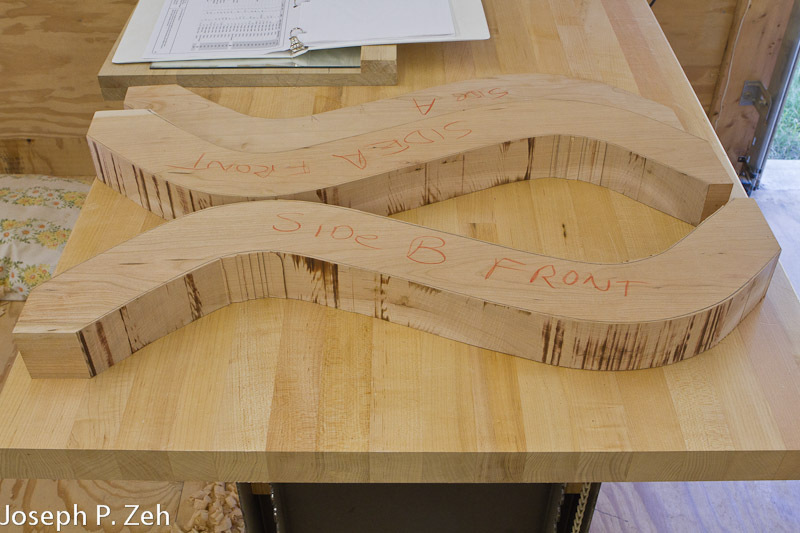 Next, use a jig saw, scroll saw or band saw to rough out the curves. 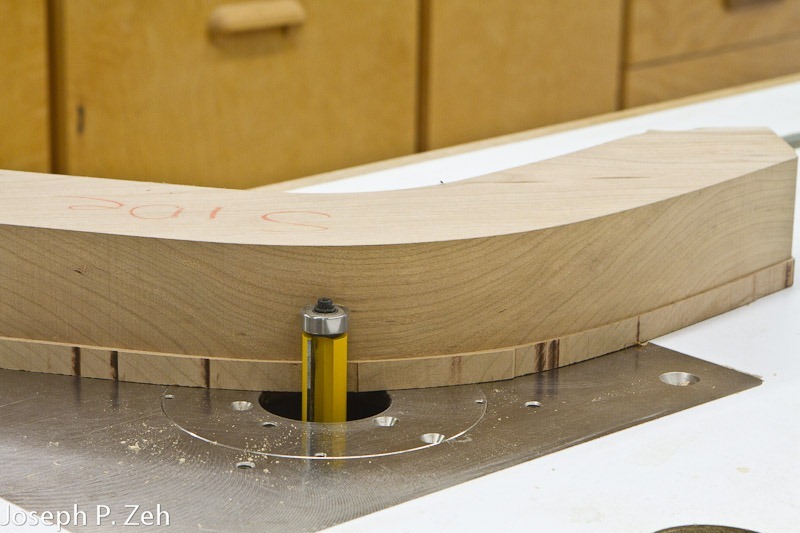 Finally, with an edge sander and oscillating spindle sander (or just your hands) sand the curved edges to final shape. That’s it - you now have a very handy and safe High School Push Stick. You can make a career out of searching for the correct definition of mullions and muntins but don’t waste your time. Suffice it to say they are both parts of a window or door, and they frame its lights. 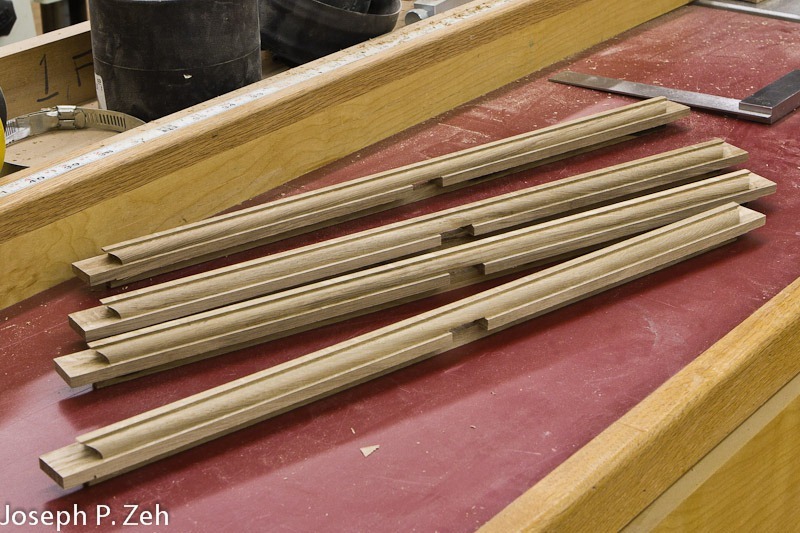 I think of mullions as the more complex of the two which has one or more through mortises and two tenons. 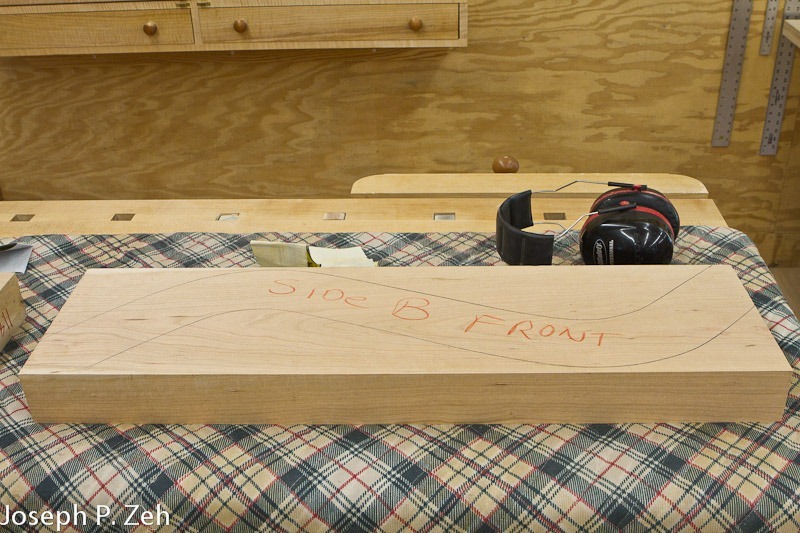 Muntins on the other hand are less complex with no through mortise and two tenons. 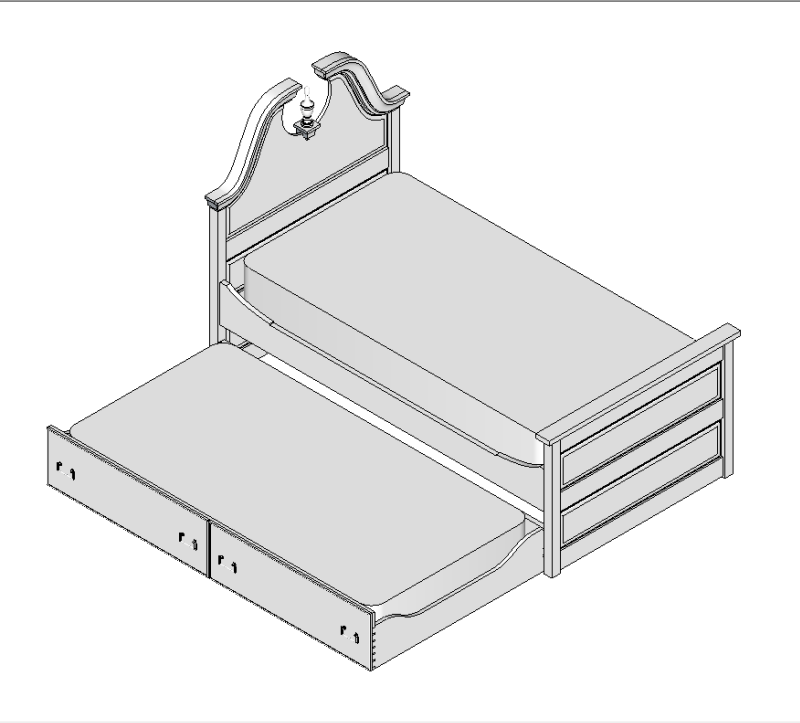 Definitions you will find on the internet vary all over the place; some even give the mullion a structural meaning similar to a stile. 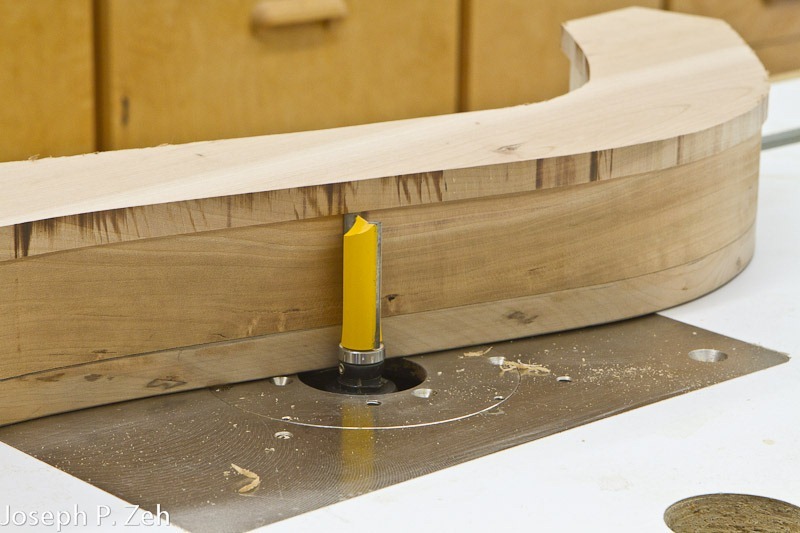 The tenons on a mullion usually fit into a stile or rail while those of a muntin fit into the through mortise of a mullion. 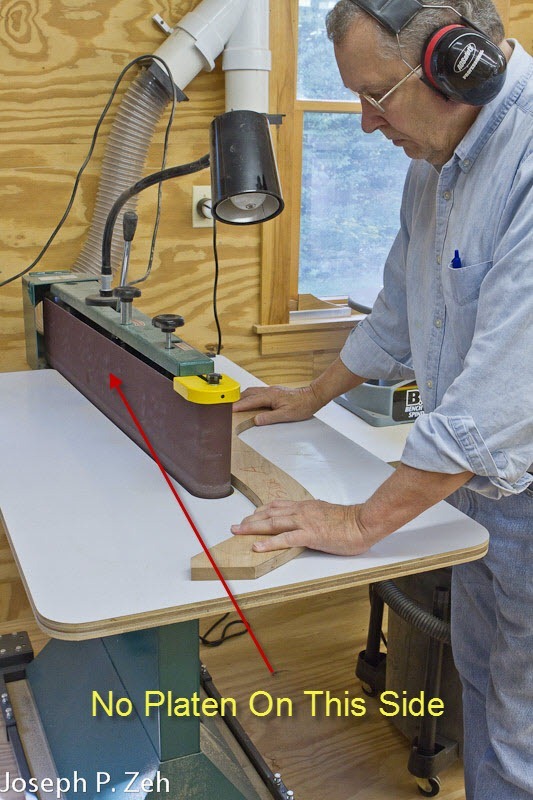 Ok, with that as the definition for mullion and muntin let me demonstrate how the push stick can be used with both the router and table saw to shape them. 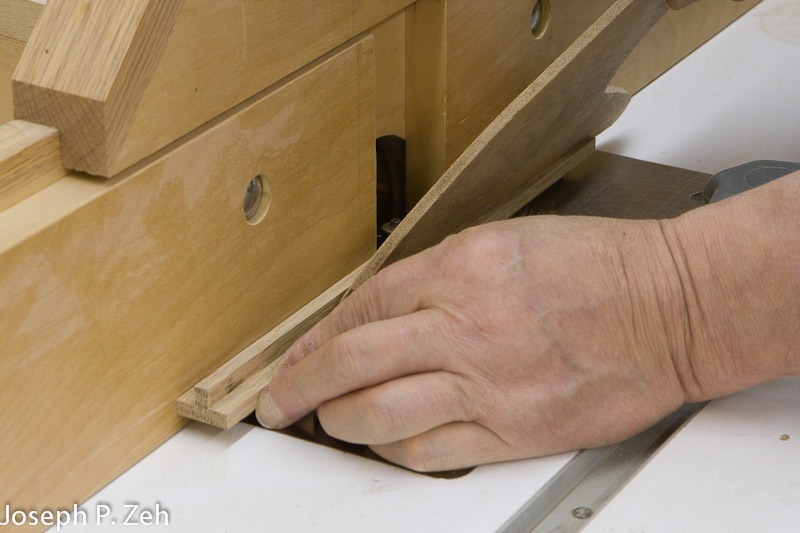 The most often used application for the push stick is to feed thin or narrow pieces of stock through a table saw. In the picture at left I am cutting two rabbets in a muntin by holding 3/4” stock against the fence with a feather board and feeding the stock with the push stick. Notice my hands and fingers are well clear of the red area and at least six inches from the blade. 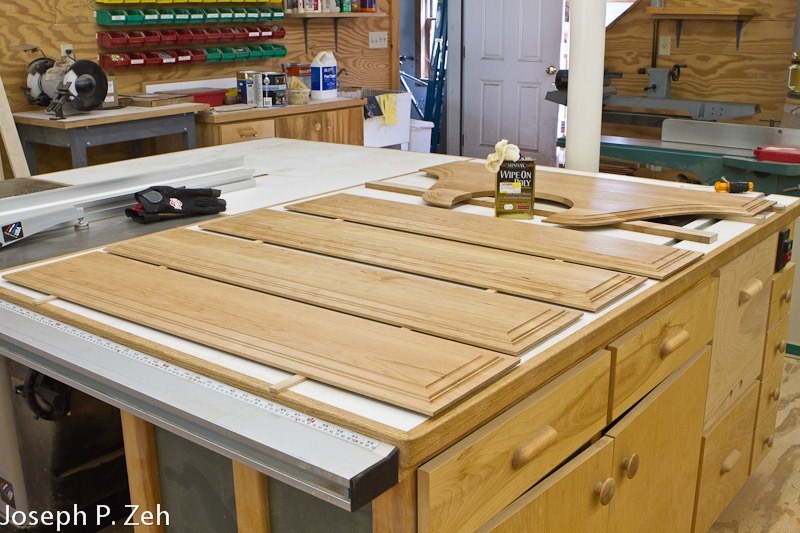 (There are numerous feather board designs that can be used allowing for taller and still narrow stock.) In this case the push stick is merely feeding the stock, but not assisting in holding the stock against the fence. 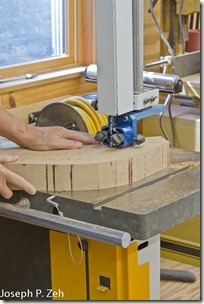 Another application for the push stick is to feed narrow stock through a router. In the picture at right I begin the feed with the push stick held vertically and pushing the stock while my fingers hold the stock against the fence. 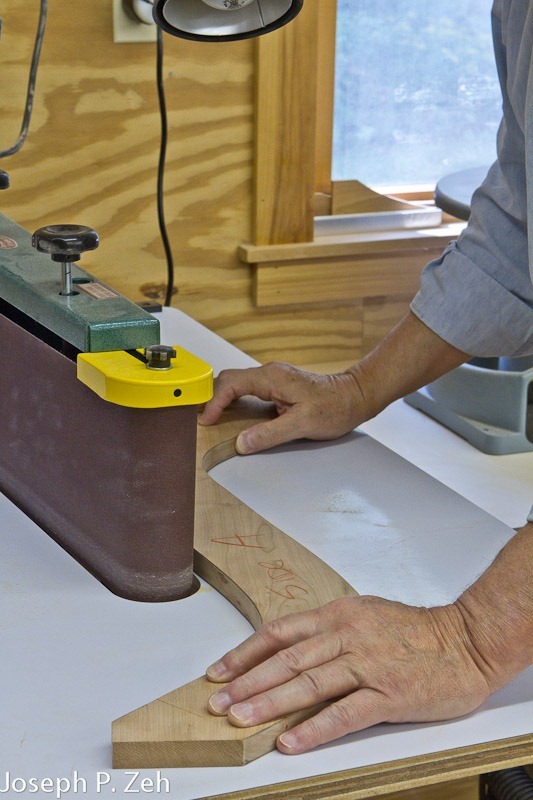 The feather board does not engage until the stock leaves the cutting area. Because I don’t want my fingers to encroach the area above the metal plate I am limited in the length of stock I can shape with the router. These pieces are about minimum size. As the feather board engages I tilt the push stick to about 35 degrees and assist the feather board in holding the stock against the fence. Here my fingers also help out. They have encroached on the area above the metal plate, but only after the stock completely surrounds the router bit, in essence shielding my fingers. 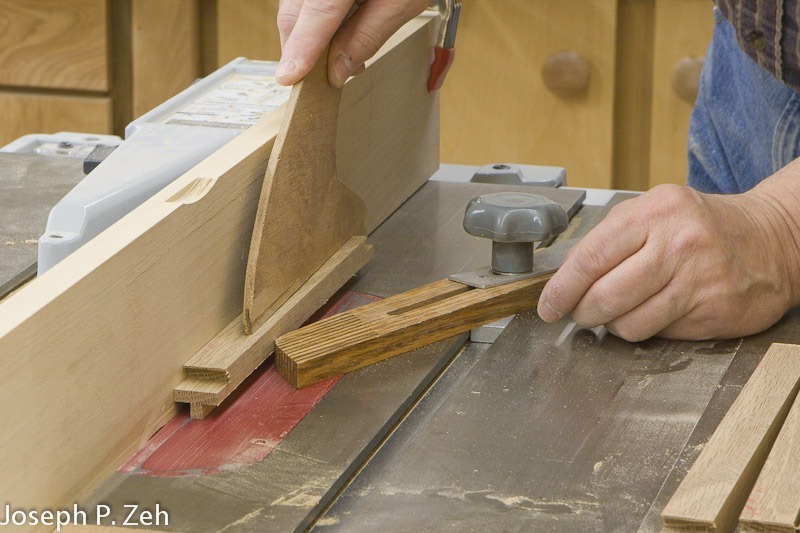 Shaping mullions and muntins are one of the more dangerous operations in a wood shop and for that reason many woodworkers build windows and doors that have lights using imatation mullions and muntins. I applaud that choice and understand it completely. 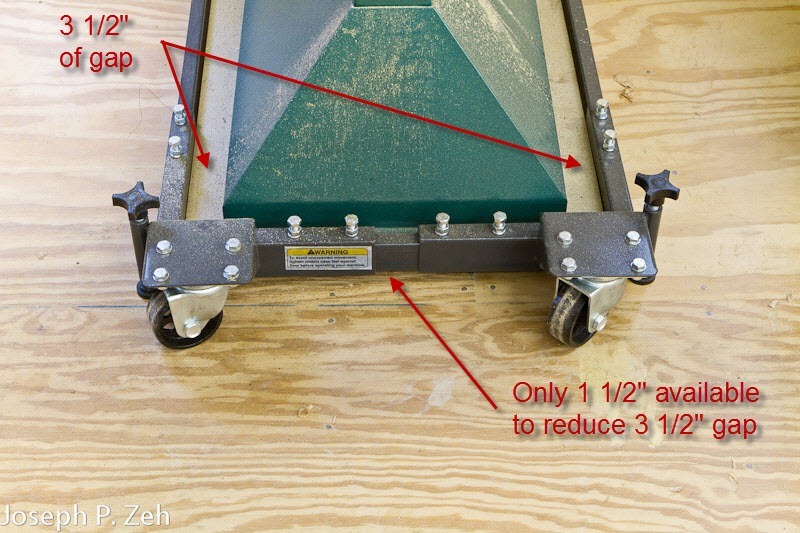 But the push stick and feather board can go a long way in reducing the risk and making this operation much safer.